The Hôtel de la Marine has a long history. 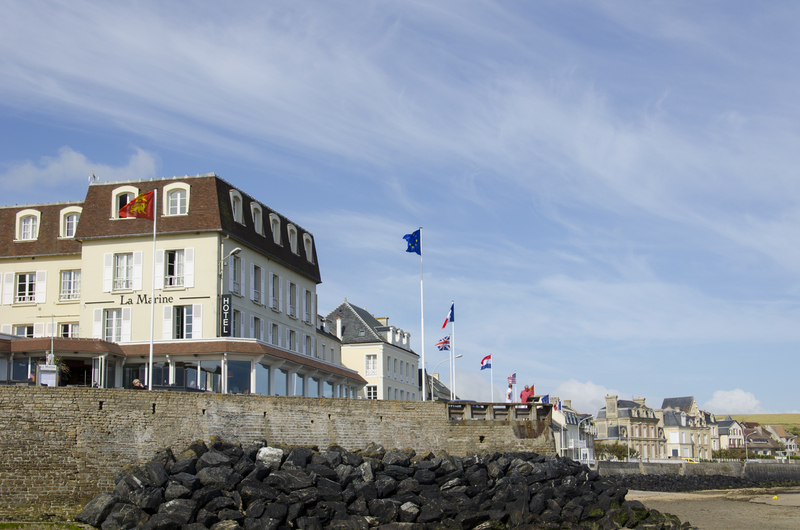 It is the only hotel in Arromanches that has kept the same name and location ever since it was built. The oldest mention of the hotel dates back to 1837. 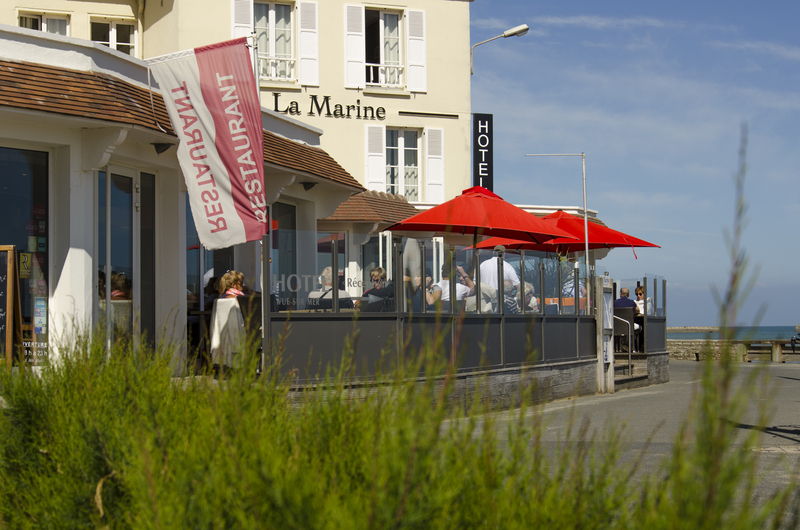 In 1846, Charles Paris put the hotel firmly on the map by building the seawall and adding a terrace overlooking the sea. La Marine stayed in the Paris family until 1965 when Charles’ great-granddaughter Andrée Goudot and her husband Marcel Gilbert — in the absence of any children of their own — sold the hotel to another family. During the Second World War, the hotel was occupied. The interior was partially destroyed, and the accommodation completely wiped out. La Marine’s beloved seawall was damaged by the Komet cargo ship which ran aground in 1940. 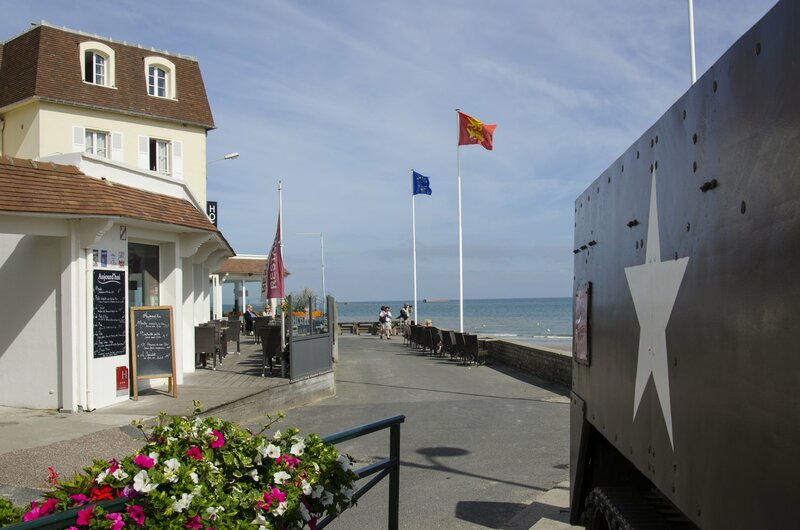 The artificial Mulberry Harbour that had been built on 7th June 1944 enabled Arromanches to attract post-war tourism, whilst René Coty, Minister for Town Planning, embarked on reconstructing the village in 1947. By 1948, the Hôtel de La Marine was once again able to accommodate guests. A new chapter began in 2003 when the hotel was taken over by Mr and Mrs Durand.